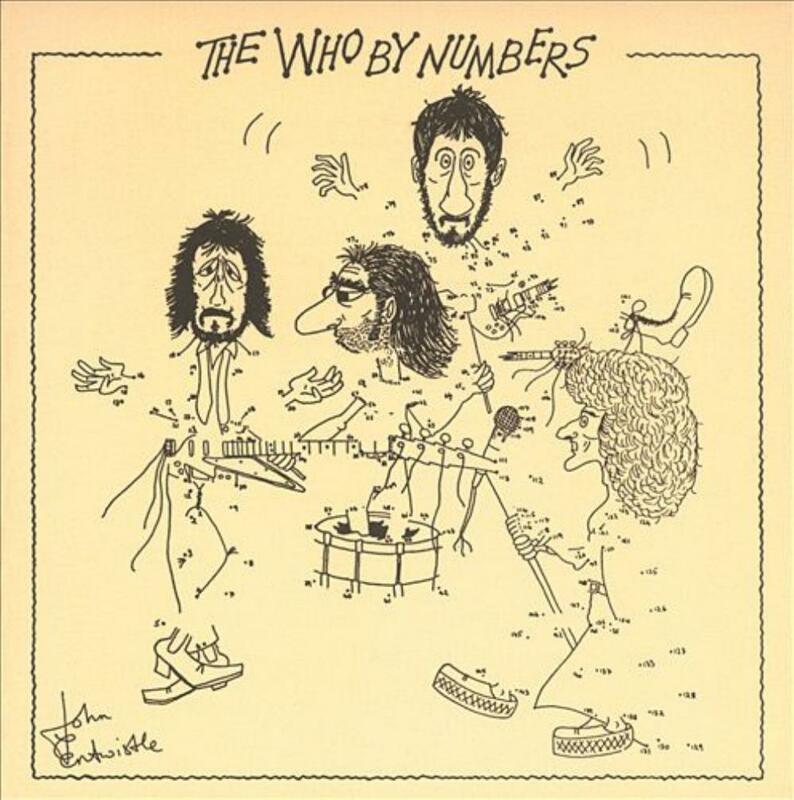 As much as people seem to think this album as a letdown after Quadrophenia, I find it hard not to rate The Who By Numbers a masterpiece. The thoughtful, introspective lyrics and the clever, catchy songwriting create a very moving and powerful listening experience. Many also see this album as a potential suicide note from Pete Townshend, who expresses his problems, concerns, addictions, and wariness of life itself through the vivid and highly personal lyrical content. Not all is so depressing, though, John Entwistle provides a rollicking number amidst the chaos and confusion that Townshend creates through the rest of the pieces on this album. Although I love every single song on this album to bits, I feel that I should only talk about a few of the pieces. Dreaming From the Waist wouldn't have been too out of place on Quadrophenia, with lyrical references to the beach and having uncontrollable sexual urges, not unlike most youth. Entwistle's bass performance on this song is incredible, his ascending basslines intertwine perfectly with Townshend's sharp rhythm work and melodic lead work. They're All in Love is a more melancholic tune that has some beautiful piano work from Nicky Hopkins and some very strong vocal performances from Roger Daltrey. Blue, Red, & Grey, which may well be my favorite piece on the album, has Townshend playing lone ukulele and lead vocal duties, but Entwistle adds some vibrance to the piece with majestic and sparse horns to add color to Townshend's uplifting and cheery ballad. I don't really feel like I've given justice to just how wonderful this album is. I feel it's a perfect successor to Quadrophenia, and while it doesn't hit me as personally as Quadrophenia did, I certainly find a lot to relate to in this album. This would be the last great Who album in my mind, proceeding albums didn't hit the same stride or have the same consistent quality of songs. I can't see any reason why I couldn't give this album 5 stars, it is very expressive, personal, and it has some of the best songwriting that Townshend ever committed to record. It's a must have for Who fans.